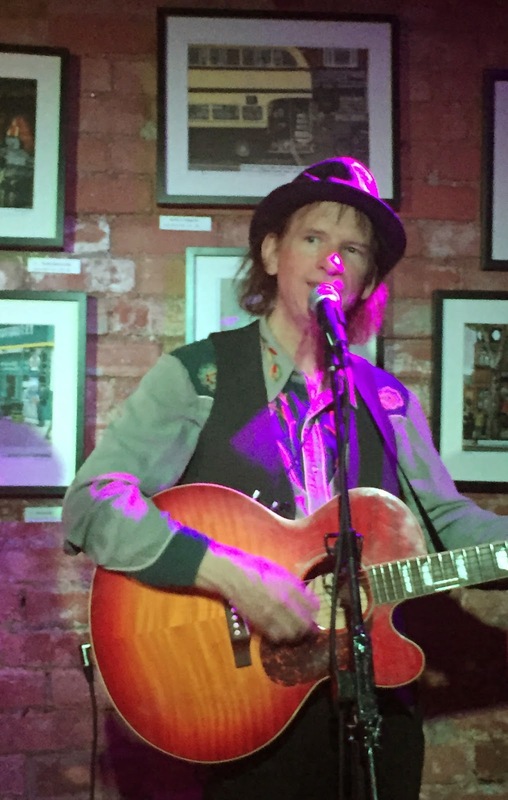 The air was full of mutual respect in this Kitchen Garden Café show as Pete and Maura Kennedy returned to the venue for a third straight year to play another successful show of expansive Americana. 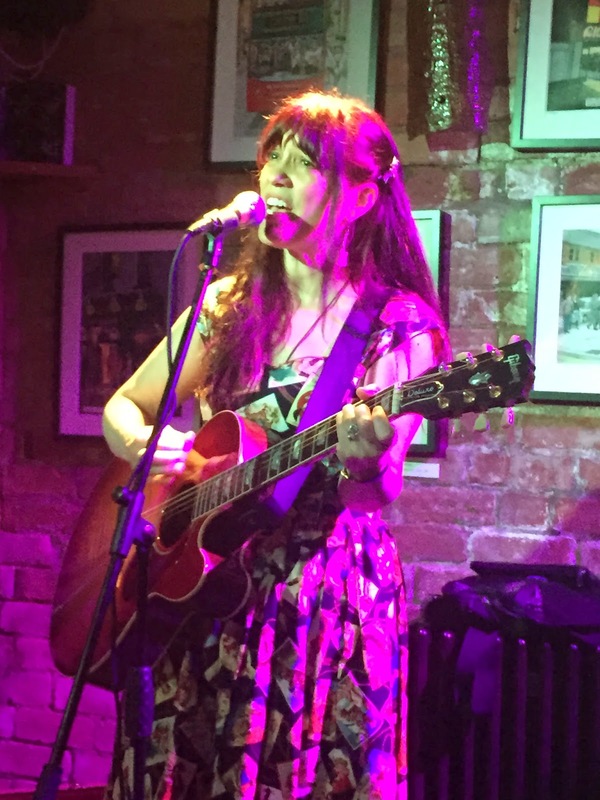 Following last year’s visit which evolved into a very special Nanci Griffiths tribute show, this time The Kennedys were bursting at the seams to share a deluge of new material that has surfaced during a frenetic period of creative activity. With three contrasting releases set for 2015, the focal point for this show was their new duo album WEST with several songs from Maura’s solo project showcasing continual peaks of this current song writing explosion. The Kennedys are the perfect complementary combo drawing on a multitude of influences from their homeland which frequently involves epic journeys west from a New York base. The mix of a luxurious vocalist and an artisan picker drive a set of well-balanced songs with an endearing and endless appeal. Maura has a reassuringly warm tone to her vocals, while Pete exploits the canvas of his craft with virtuosity and extracts some mighty fine tunes from his Gibson Deluxe. The epiphany of teamwork in motion, both on and off the stage, the duo enter their twentieth year of a marriage and musical union fresh, re-invigorated and as culturally crafted as ever. WEST was an album that didn’t waste time in maximising its effect and the extensive representation in the set list further propelled the record up the appreciation ladder. Nine tracks were sprinkled across the brace of sets which structured the usual non-support gig format with the duo of ‘Bodhisattvas Blues’ and ‘Travel Day Blues’ plus the Buddy Holly inspired ‘Locket’ getting vociferous applause from the appreciative audience. The punchy ‘Southern Jumbo’ made a convincing case for pick of the new songs and ‘Signs’ was heard in a different context now Maura has given insight into its origin as an assignment from a song writing class. The other significant portion of the show was Maura sharing a number of songs off her new solo album VILLANELLE which has emerged from collaboration with Californian poet B.D. Love. This project has seen Maura add melodies to a series of newly written poems and ultimately creating songs with unconventional lyrical structures. To the layman these came across as a seamless transition with Maura adding extra spice with the sociological background including the recollection of migrant Chinese workers in ‘Fireflies’ and marital disintegration being the theme of ‘Bicycles with Broken Spokes’. The opportunity to listen more intently to these songs is one to relish with ‘She Worked Her Magic on Me’ jumping out in front of the pack after a live preview of around half the album. The commitment to regular touring, and building upon the recognition from being the Nanci Griffiths backing band, has contributed to The Kennedys’ back catalogue hosting many personal favourites and this show was concluded with an all request four song encore. Earlier they had weaved in a couple of older numbers to add a touch of familiarity to the new material, but ‘Half a Million Miles’ and ‘Midnight Ghost’ were soon to be joined by impromptu versions of ‘9th Street Billy’, ‘Angels Cry’, ‘Life is Large’ and a version of ‘Jasmine’ that proved the notion of what happens on stage remains on stage. There was only an occasional mention of Pete’s upcoming new record during the evening, but he reminded everybody of why he is a class guitarist with the instrumental ‘Mad Russian’ demonstrating his love for the classic 50’s pre-rock playing style. Of course Pete still plays, albeit away from the headline credits, an important part on Maura’s record and occasionally comes to the vocal fore such as on ‘Jubilee Time’ from the duo album. However his solo interludes herald a first rate player fine tuning the tool of his trade and crowned a stage presence tonight further culturally infiltrated with local Shakespeare musings. Pete and Maura continue to cement a love affair with UK audiences, who are able to recognise a pair of musical artists capable of capturing the Americana landscape and sound within the magical medium of impressively formed songs. The special relationship between The Kennedys and Birmingham continues to prosper as they maintain acute ambassadorial status for the spirit of the indie touring act, full of respect, humility and a determination to tap into the loyalty of the grateful listener.